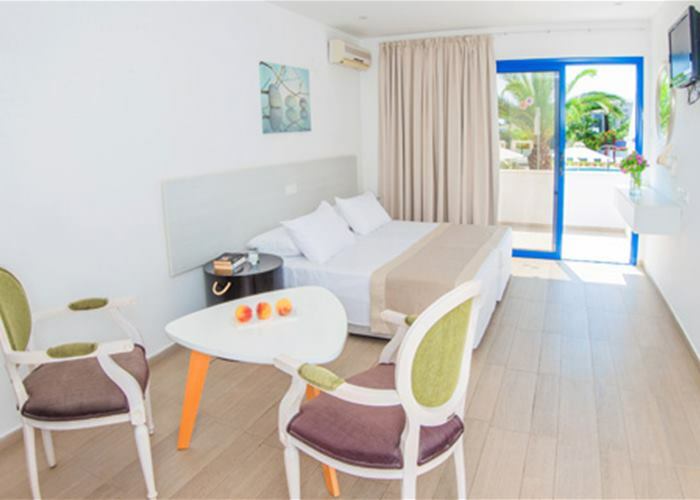 Featuring beautiful gardens, palm trees and a pool to keep you cool and refreshed, the Atlantica Stavrolia Gardens lies just 5 minutes away from the popular crystal shores of Nissi Beach in a relaxed atmosphere Ideal for families and couples. 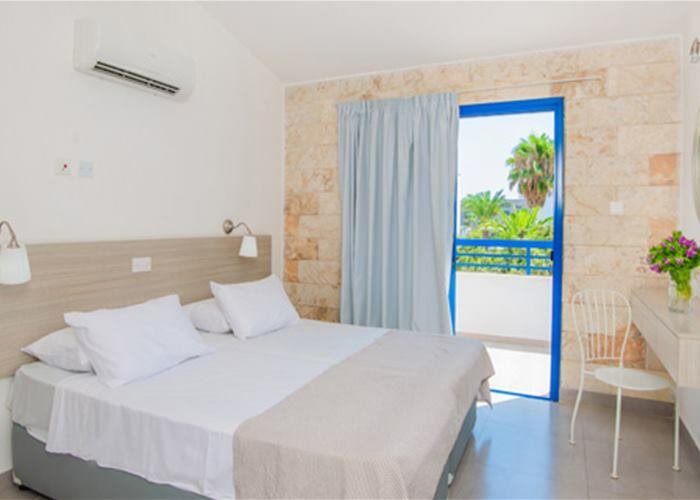 The resort centre of Ayia Napa is 2.5km away from the hotel and has enough variety to keep everyone entertained whether you want coffee shops during the day or nightlife in the evening. These room types come with twin beds and inland view. They can sleep up to 3 people and contain individual air-condition, bathtub or shower, toiletries, satellite TV, hair-dryer and balcony. Safe box is also available with extra charge. The Superior Studios are more spacious from the twin rooms and come with extra tea & coffee making facility and fridge. They can sleep up to 3 people and contain individual air-condition, bathtub or shower, toiletries, satellite TV, hair-dryer and balcony. Safe box is also available with extra charge. 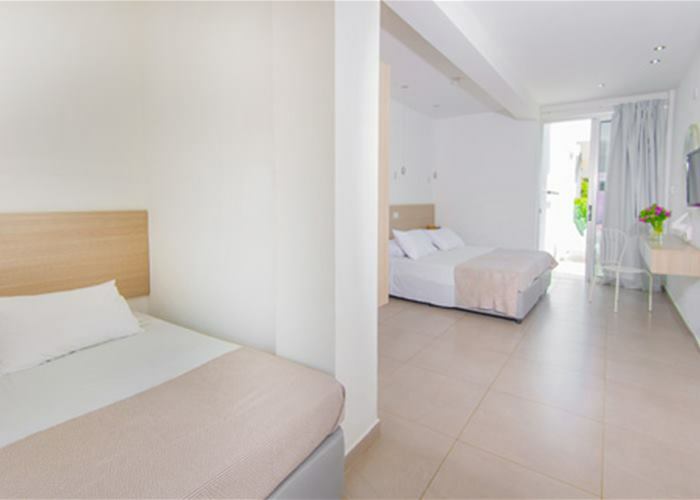 These rooms are suitable for families of up to 4 people and come with extra tea & coffee making facility and fridge. The room contains individual air-condition, bathtub or shower, toiletries, satellite TV and balcony. Safe box is also available with extra charge.